“Take a hike,” someone says. To anyone else, that’s an insult, but to you, that is an invitation to adventure! 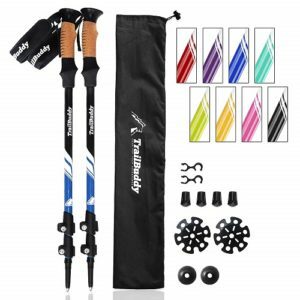 If you are a frequent hiker or someone who wants to enjoy a nice walk in the outdoors with some added stability and security, you just might want a great set of hiking poles at your side. 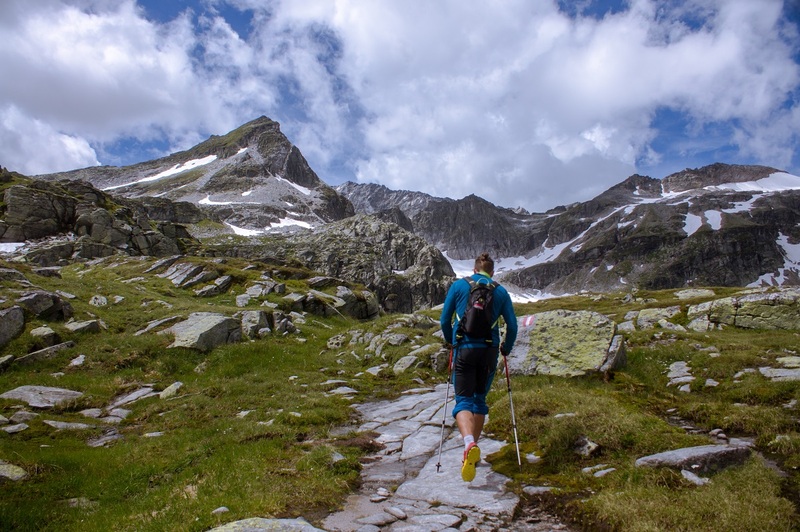 Here are some suggestions to help you find the right poles to accompany you on your next trek. Hiking takes energy, so you don’t want to slow your pace or limit your distance by lugging around a big piece of lumber. Maneuverability is important too, so don’t limit your motion with poles that won’t easily move with and for you. You may want to ask yourself if the poles feel good in your hands, have a nice balance, and can match your stride—be ‘one’ with you. You’ll put good money into your hiking companions, so you want these poles to last. 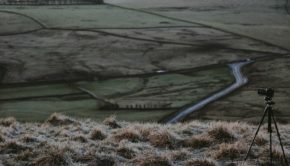 They’ll need to meet the challenges of the terrain that you cover, in all types of weather, and give you the full support that you need. At the same time, you don’t want poles that weigh a ton and don’t flow with your walking style. You’re on the move and don’t want to have fully extended poles to get in the way of your ease of movement, so take ‘em down and move with ease. With collapsible poles, you can store them where you can save space. These babies are tough—they can handle the most difficult terrain and support heavier weight. And, they are really lightweight. You’ll be carrying the poles a long way; why carry extra weight? Built for your comfort, the cork handles are comfortable and supportive in cold or wet conditions. 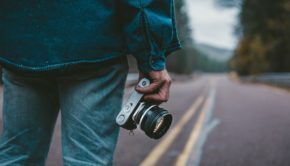 Flip locks make adjusting the telescopic poles a breeze, and four different accessory tips are included for a variety of hiking conditions. These poles are adjustable making them ideal for just about any height, and they are only 24″ when they’re collapsed. Reviewers mention that the quick release mechanism for adjusting the poles is well designed and easy to use. These poles come equipped with padded, ergonomic grips and wrist straps, so your poles can feel just like extensions of your arms. The poles can be as small as 25.5”, or they can double in size to 52”. BAFX poles are built of light but sturdy aircraft-grade aluminum and have anti-shock springs. 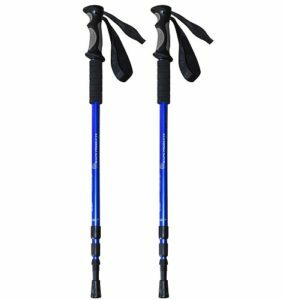 Reviewers mention that the support and anti-shock qualities of these poles aid in especially difficult hikes. Another reviewer mentioned that these poles helped her make it to the top of a hike in Glacier National Park despite her bad knees. 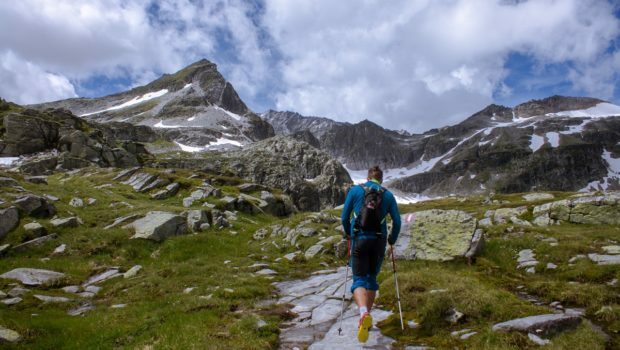 If you’re looking for truly collapsible hiking poles, these Nianyiso poles are for you. They fold into the size of a baton, fitting in your backpack or free hand easily. The poles come with five different tips to match all types of terrain, and the grips wick sweat. Made out of heavy-duty aluminum, these hiking poles are both light and durable, withstanding pressure and impact. 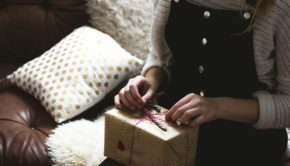 Reviewers mention that the locking mechanism is incredibly sturdy, and the included mesh bag makes storing and carrying the poles especially easy. Montem’s outdoor poles are a popular choice. They come in over seven different colors, so you’ll never get your poles mixed up with a buddy’s. They offer serious adjusting speeds with flick lever locks and press release. The grips are also made out of EVA foam, which outlasts cork. These poles are both lightweight and durable. 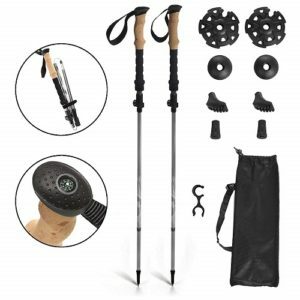 A sturdy aluminum body and a tungsten carbide tip make for an exceptionally strong hiking pole to protect your knees and back. 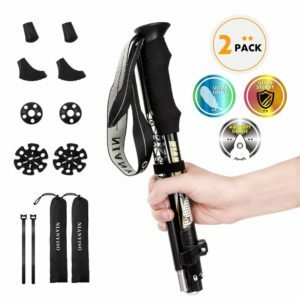 These hiking poles are quite the package with quality materials that outlast extreme pressure and match any height; a one-size-fits-all scenario. 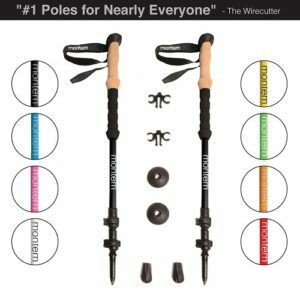 These poles are also a great package because they literally come equipped with all of the accessories you would need: a carrying bag, five types of tips, reflectors, and a compass in the handle. One reviewer mentions that they’ve had both knee and hip replacements, and these poles provided them with the stability they needed to hike to the top.